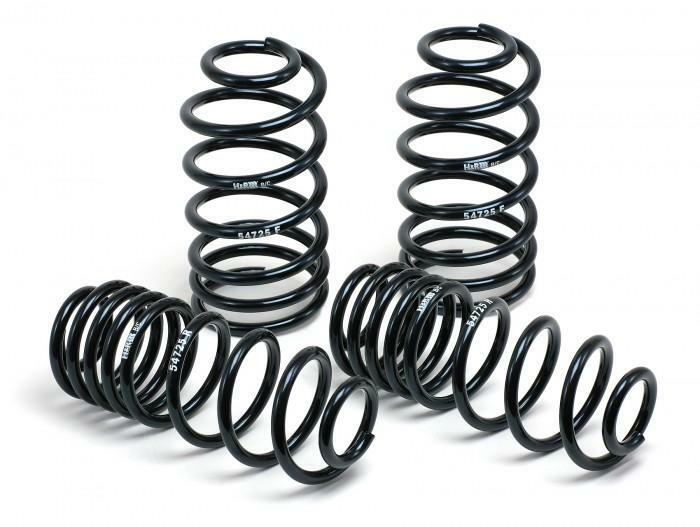 H&R Sport Springs offer the handling characteristics and aggressive appearance that you’ve been looking for, without the harsh ride characteristics of less-advanced spring systems. H&R Sport Springs feature more control and are engineered for the street, making them comfortable and fun to drive. H&R Sport Springs are crafted from a special 54SiCr6 spring steel to ensure quality and performance. I drive a 4dr 1991 acura legend ls and just got the H&R springs from SoHi performance coupled with my stock shocks. Since the car is over twenty years old I was concerend if lowering springs would apply to much stress on the stock shocks. When suspension assembly was removed the shocks were still in great condition, and after driving with the springs installed the handling and feel of the road well exceeded my expectations. Installation was particularly difficult since the springs are large compared to those for lighter cars so compression did take awhile to properly reasemble the springs and shocks together. (Do not attempt without a spring compressor). Specifications say springs lower ride 1.5 front and 1.4 back. it should be noted that this height will be visible after the car has been drivin for awhile giving the springs time to find their seat. Upon initial installation a good .75 inches drop in ride height is noticeable. Overall I highly recommend purchasing these springs if you own an acura legend or any car for that matter. If your stock shocks are bad I suggest getting koni red struts with the H&R springs, otherwise your good to go. Customer service was excellent as well, and Bonny was awesome when helping with my order. Thank you SoHi Performance! !